'The city of Nawabs' is like a quintessential gourmet central. The cooking technique usually incorporates the'dum style'. 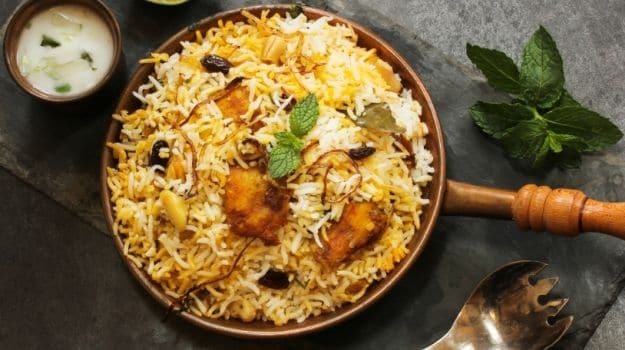 Lakhnawi Recipes- Lucknow is known for its nawabi heritage, architectural brilliance and some of the most royal relishes. 'The city of Nawabs' is like a quintessential gourmet central for every food enthusiast. The traditional food of Lucknow was highly patronized by the nawabs of Lucknow during their time, thus giving it a royal touch. The royal chefs and cooks were trained to render an exquisite culinary spread, fit for nawabi taste. If you happen to be in Lucknow, you are sure to gorge on some of the richest and most royal preparations that the country can offer. 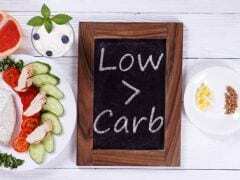 Lakhnawi cuisine is delightful, especially for a non-vegetarian. You have a wide range of kebabs, parathas, brilliant naans, mouth-watering kachoris, creamy kulfis and many more scintillating preparations like kormas, kaliya, nahari-kulchas, zarda, sheermal, roomali rotis and warqi parathas to appease your taste buds. The cooking technique usually incorporates the 'dum style' where the food is cooked over a low flame. The balanced blend of spices and the use of aromatic and fiery masalas like saffron, red chilli, cinnamon, cardamom, etc, give Lucknawi food a distinct flavour. 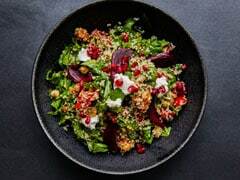 It is not just about the ingredients that simmer in the cooking pot, but also the way they are cooked and the meticulously elaborate way in which the final dish is presented. It is a skill that has been acquired by rigorous practice and is something that has been carried down by generations over the years. When it comes to street food, Lucknawi chaat is one of the best in the country and the kebabs are some of the most authentic preparations. The meat is marinated in exotic spices and char-grilled to perfection. Cooked either in a tandoor or a barbeque grill, kebabs are the appetising companions to any meal, an apt start to a royal feast. 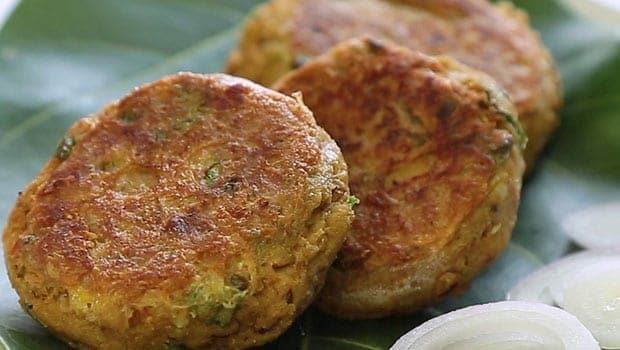 There is a wide variety of kebabs for vegetarians as well: you can bite on the scrumptious dalcha kabab, kathal kekebab and zamikand ke kabab. For meat lovers, you can choose your pick from boti kebabs,shammi kebabs, galouti kebabs, kakori kebabs and do not forget to try the classic tunday kebabs. Want to re-create the nawabi platter for your dinner table? We have put together a royal menu in Lakhnawi andaaz, learn, cook and experience the brilliance of Lakhnawi food. Kebabs are an all time favorite food in Lucknow. Galouti literally translates to 'soft' and that makes this Indian kebab recipe a melt in the mouth from the Awadhi table. Try these delicious kebabs flavored with hot spices and peppercorns, sprinkled with lemon juice. 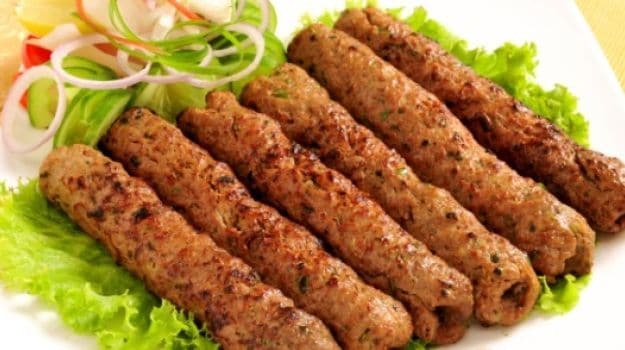 Galouti Kebab are non-veg kebabs that were invented in the city of Nawabs, Lucknow by the Khansamas of Nawab Asad-ud-Daula for his love for different kebabs. 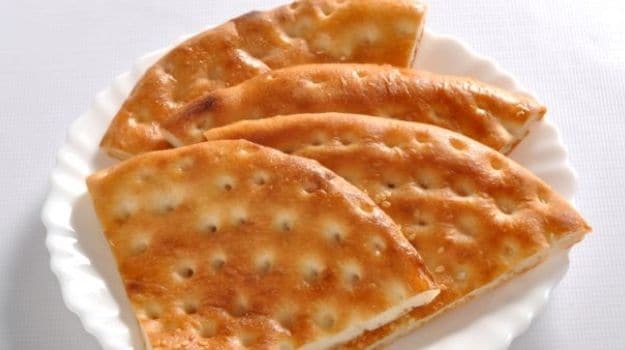 One of the best non-vegetarian snack recipe to serve for dinner parties. 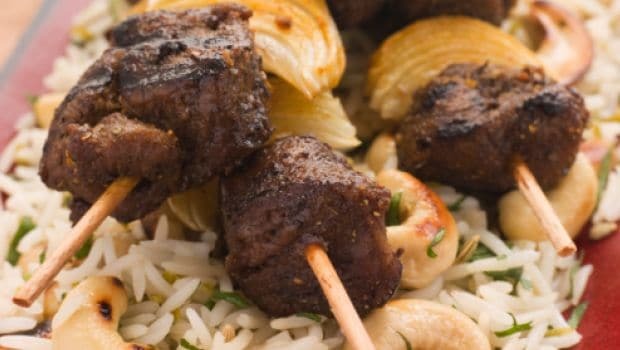 Shaami Kebabs are meat kebabs usually made with mutton, but with this kebab recipe you can easily make it from chicken. Shaami kebabs are often served with tangy mint chutney that further enhances the flavour. Golden dough made of flour, sugar, milk and flavored with saffron, cooked until brown and served brushed with ghee. Serve with any chicken or mutton curries. Dough prepared from flour, ghee, salt, sugar and saffron-enhanced milk cooked perfect brown. 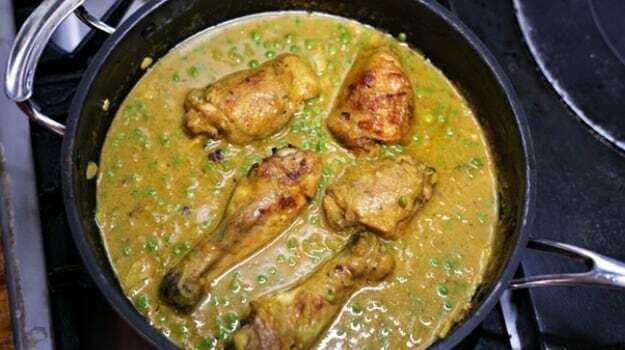 Marinated chicken flavored with saffron, milk and a host of masalas, combined with rice to cook up a steaming biryani. 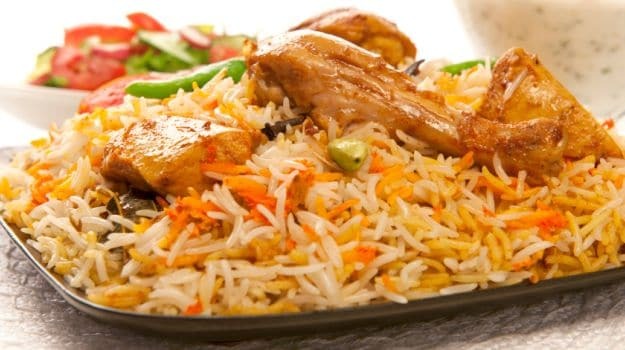 Varied masalas combined together to make a delicious and aromatic biryani. A Lucknawi delight, your favorite vegetables are cooked with nuts and khoya gravy, garnished fresh with coriander leaves and served hot! Comments Kaju curry is a Lucknawi delight that you just can't miss! These melt-in-your-mouth kebabs are a star of Lucknawi dinner parties! Minced lamb or mutton is smeared with a luscious marinade of aromatic spices and grilled beautiful. It derives its name from the city of Kakori on the outskirts of Lucknow. 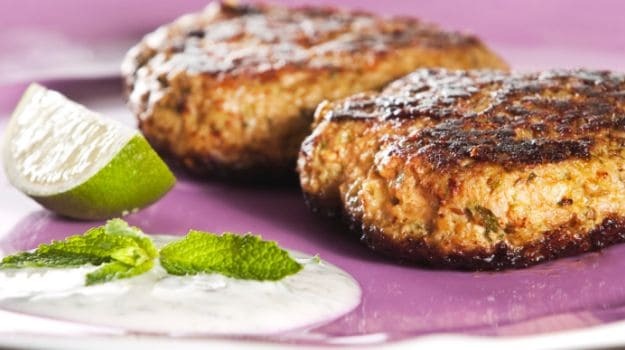 Serve with mint chutney to relish these heavenly kebabs! Crispy fried potatoes stuffed with paneer and traditional spices, blended with savory tomato, onion gravy and served hot. 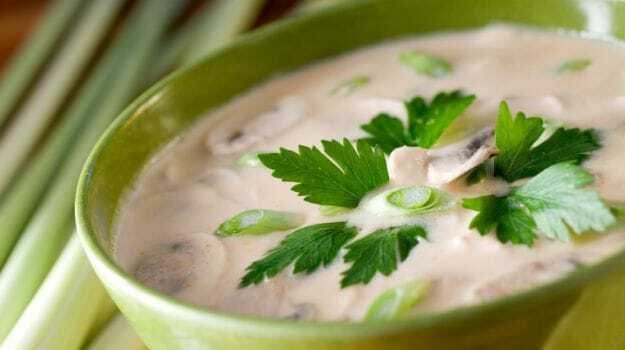 Creamy chicken curry, with a distinct nutty taste, laced with piquant spices. This is one of the traditional royal recipes of the Lucknawi cuisine. This is a traditional recipe of marinated mutton, cooked till tender in a marinade of fiery spices, gravy and garnished with cream and almonds. This one is an absolute crowd pleaser. 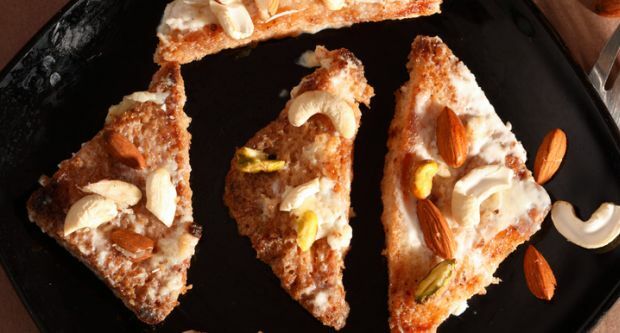 Fairly easy to make, Shahi tukda is a rich and delicious blend of saffron infused milk, bread and pineapple garnished with almonds and pistachios. A fruity twist to one of the most popular Indian dessert. A stellar kebab dish! Prepare these delectable kebabs at home during festive season or special occasions to feast on with family and friends. Succulent mutton cubes marinated in myriad of spices and cooked in aromatic saffron, rose petal paste and coconut. Indulge in kebabs and enjoy the festivities. What Goes Into The Making Of Lucknow's Famous Tokri (Basket) Chaat?